Hi friends! I hope you are having a great week so far! We still have a cough going around here but it's getting better. Also, the weather is fabulous so it really helps with our mood plus the kids can go outside which is fabulous! Ok, so here's a card I forgot to blog. 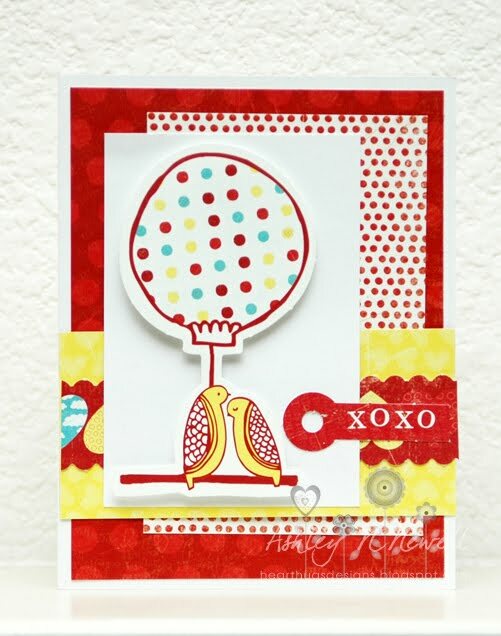 I made this for Card Positioning Systems sketch 208 but forgot to link it up and blog it. What can you do? I made a love card using all elements from My Mind's Eye Love Me Do. I LOVE LOVE LOVE the colors in this collection! Very pretty! I have a ton of this paper leftover! Thanks for the reminder ;) VERY sweet card! Darling creation! Yes, my Mattie is just shy of being 22 months, just like your Parker :).